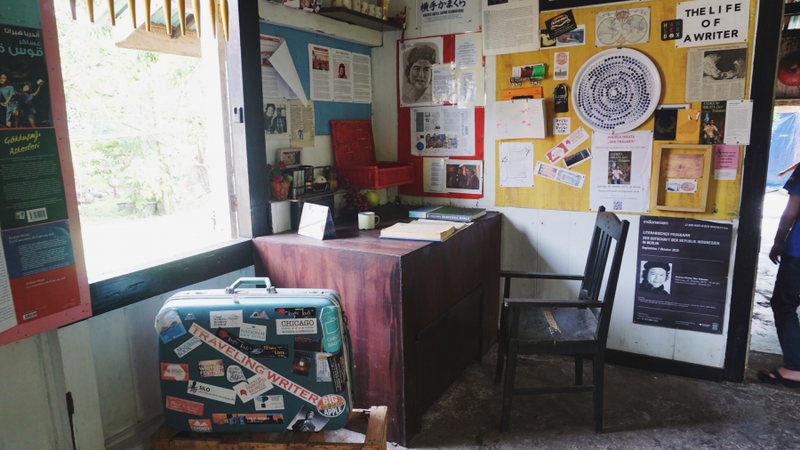 Everyone has the right to have dreams and attempted to achieve them. 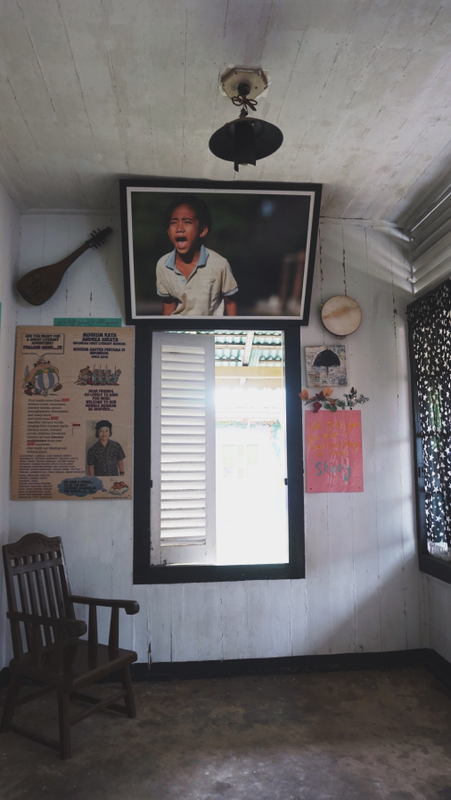 My trip to Belitung (read part 1 here) has made me realize that life is too short to have only one dream. 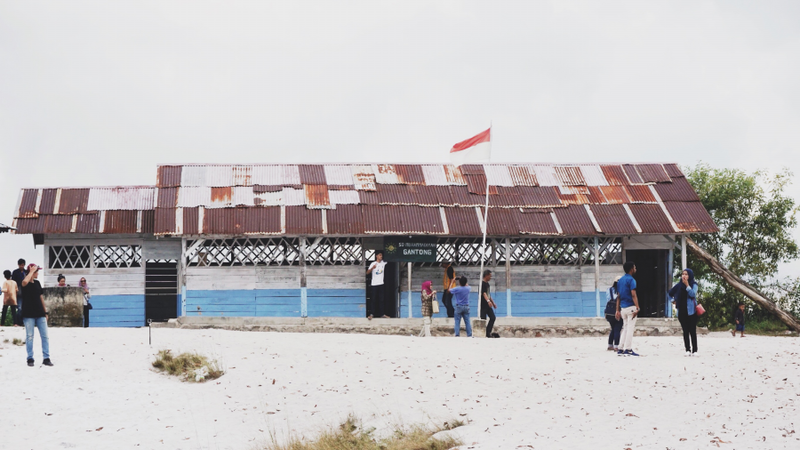 Stories from the elementary students of SD Muhammadiyah Gantong Belitung have proved that as difficult as we are at the moment, we can still succeed if there is a willingness to try. 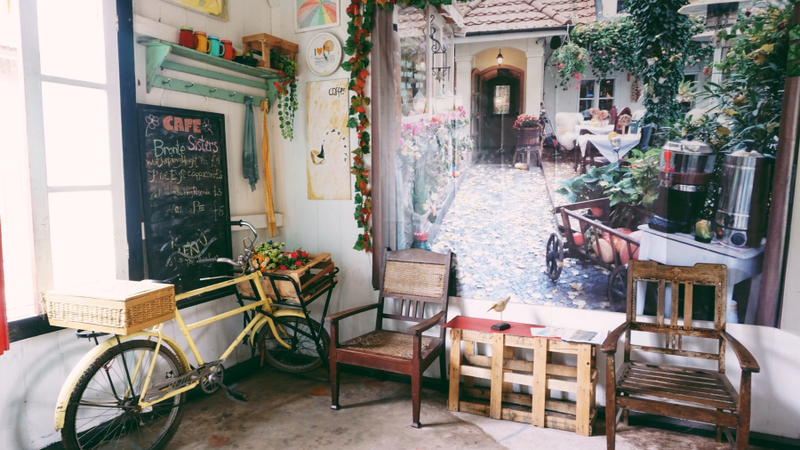 That if there is a will, there is a way (even a little miracle). 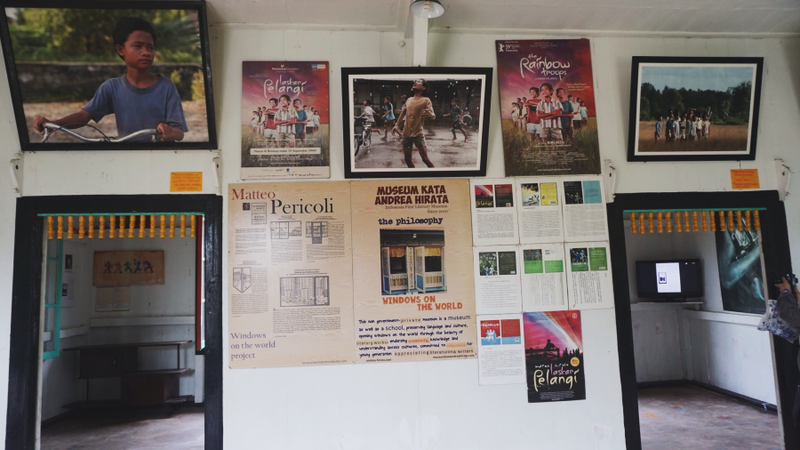 The Laskar Pelangi film (directed by Riri Riza), which based on the Laskar Pelangi true-story-novel (which has been translated into 20 languages) by Andrea Hirata, successfully make Belitung known as the Country of Hope. 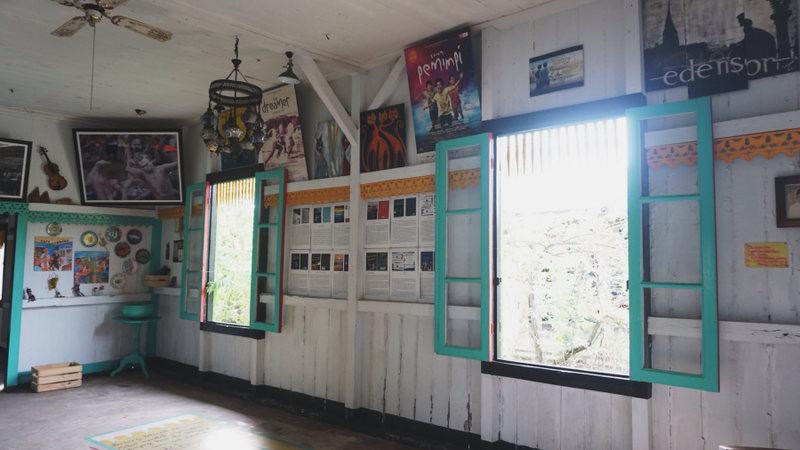 The whole story, pictures, and memories of the Laskar Pelangi film, continue to inspire travelers to come to visit Belitung. 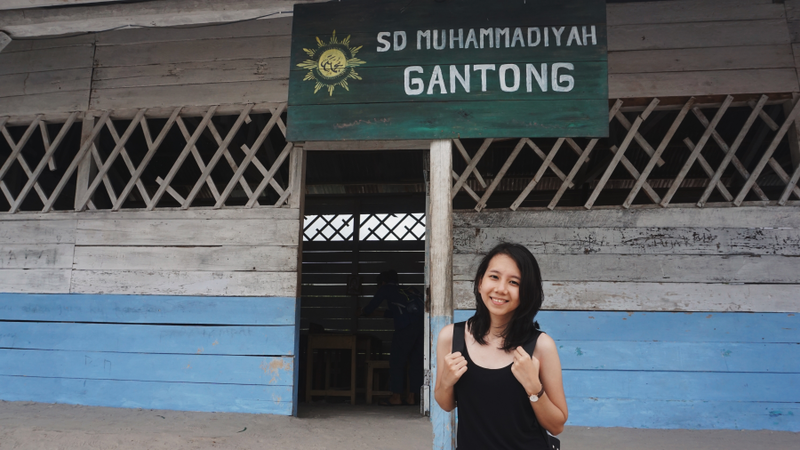 Andrea Hirata, one of the alumni of SD Muhammadiyah is still focusing on improving the education of Belitung Children. 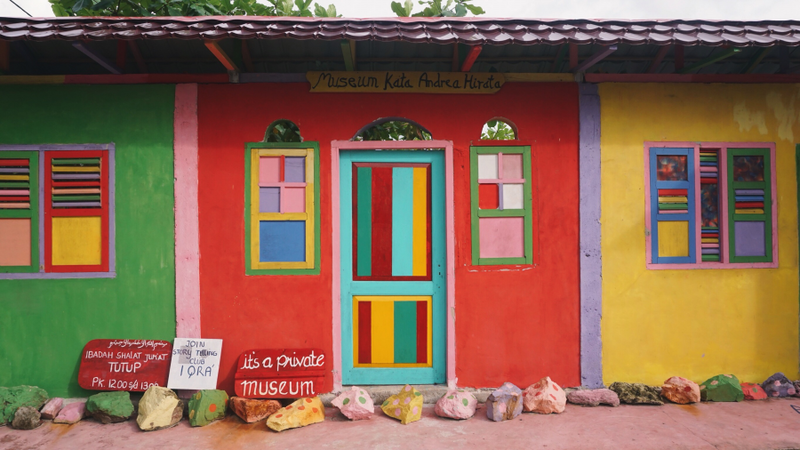 That’s why he built the Museum Kata Andrea Hirata in November 2012 in Jalan Raya Laskar Pelangi No.7, Gantong, Belitung Timur. 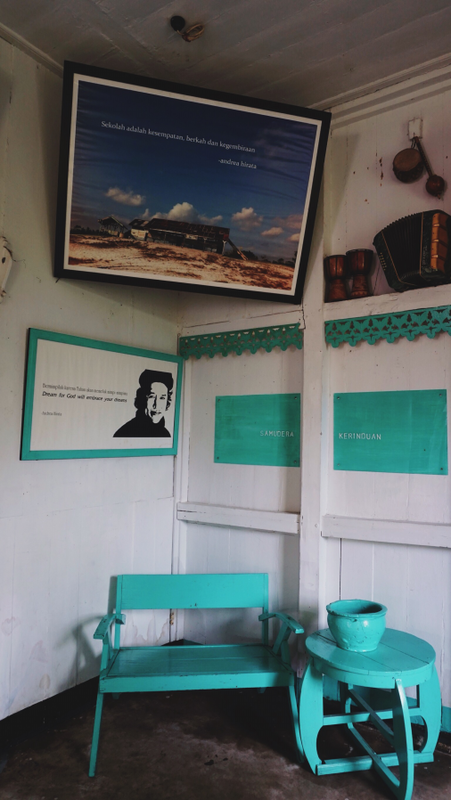 Visitor will be pampered with colorful-cheerful interior, with a gallery of Laskar Pelangi Film. 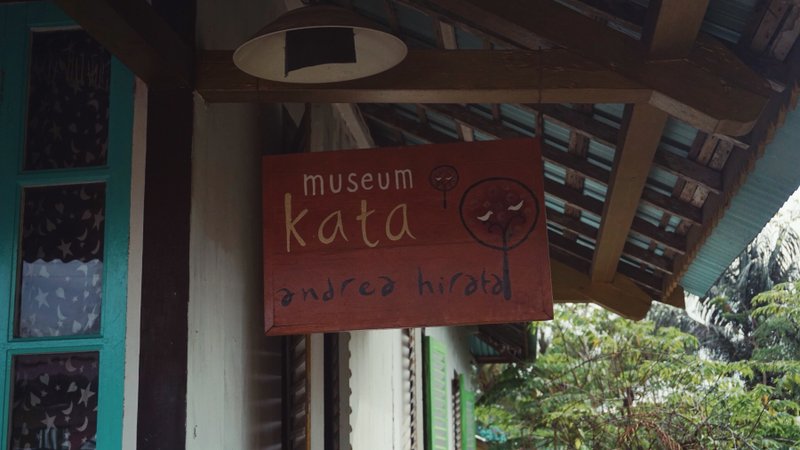 In Museum Kata Andrea Hirata, you can see the entire novel which ever written by Andrea Hirata, footage of some scenes in Laskar Pelangi film, and also some quotes of Andrea Hirata’s novel. 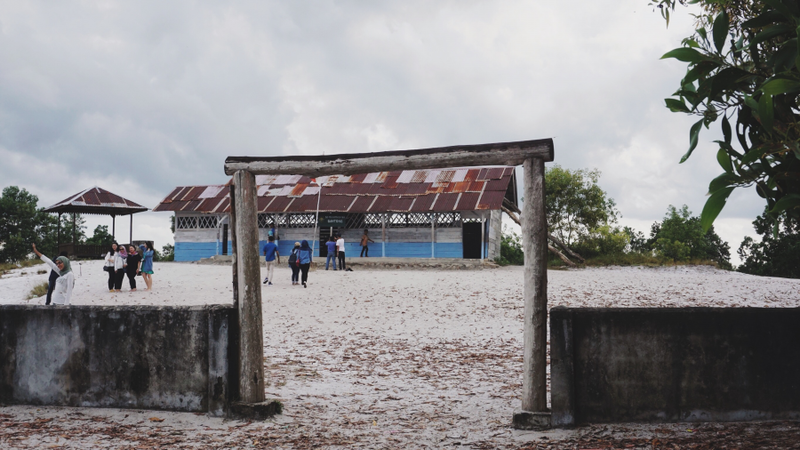 Andrea Hirata’s dream to advance education in Belitung has not been completed and will never be completed, cause it's a long journey--a life journey. 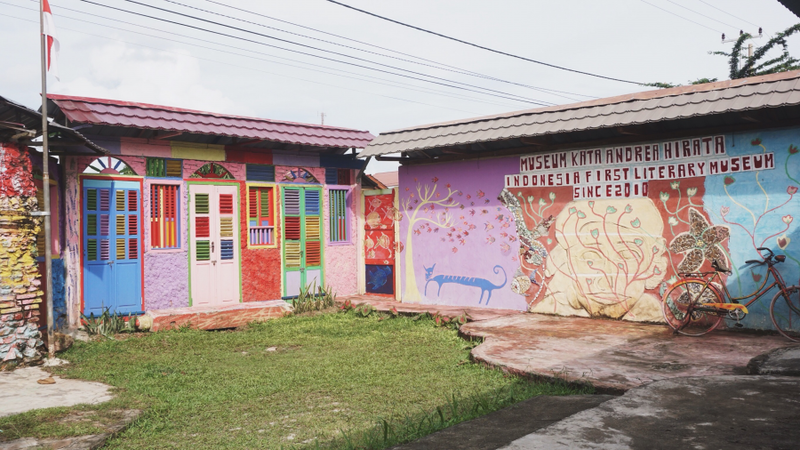 All revenues from the Museum Kata Andrea Hirata (entrance ticket, official merchandise, etc) will be allocated for free education for children in Belitung. 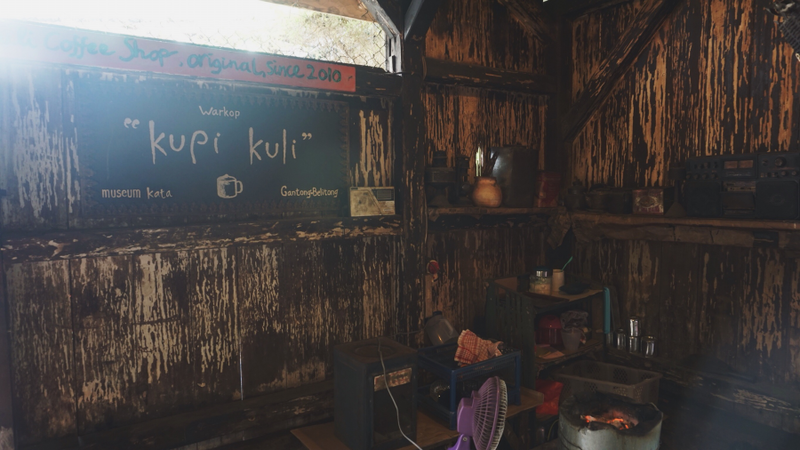 In the back of Museum, there is a small kitchen which called Warkop Kupi Kuli. 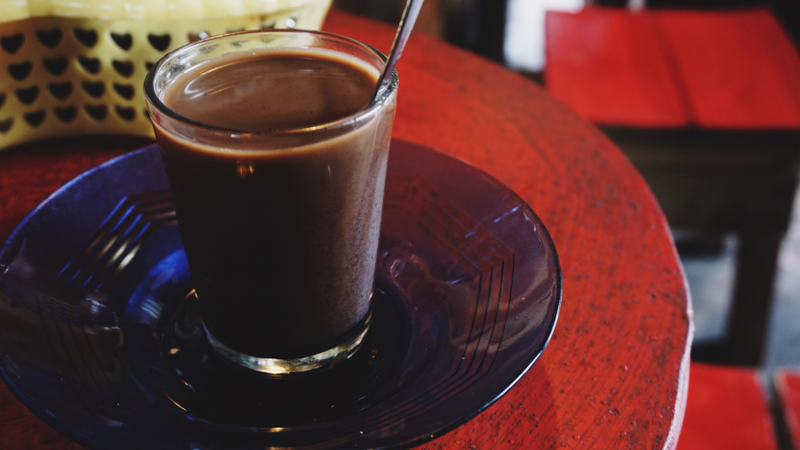 Warkop means Warung Kopi (coffee shop), and Kupi Kuli means Kuli Coffee (traditional Belitung’s coffee). 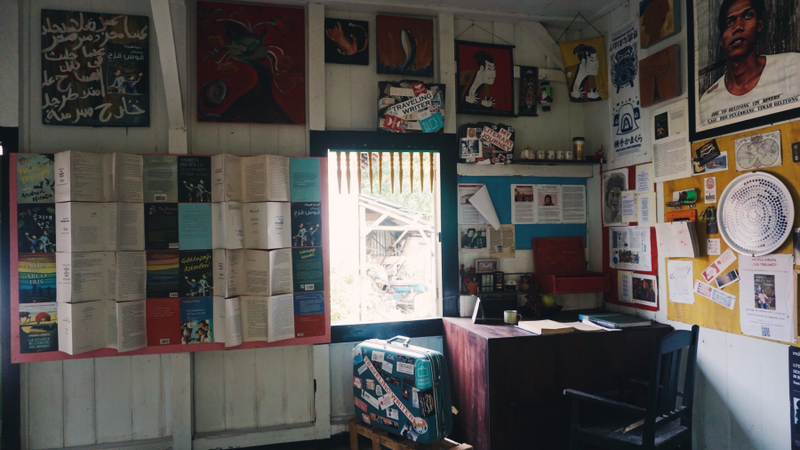 Here you can enjoy coffee while resting, also you can buy official merchandise of Laskar Pelangi film. 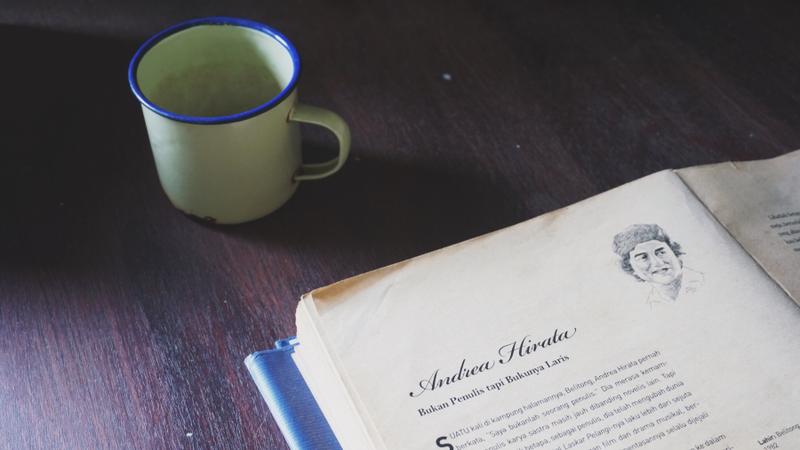 Andrea Hirata has proved that although he is from a small region of Indonesia, he can be a successful person. 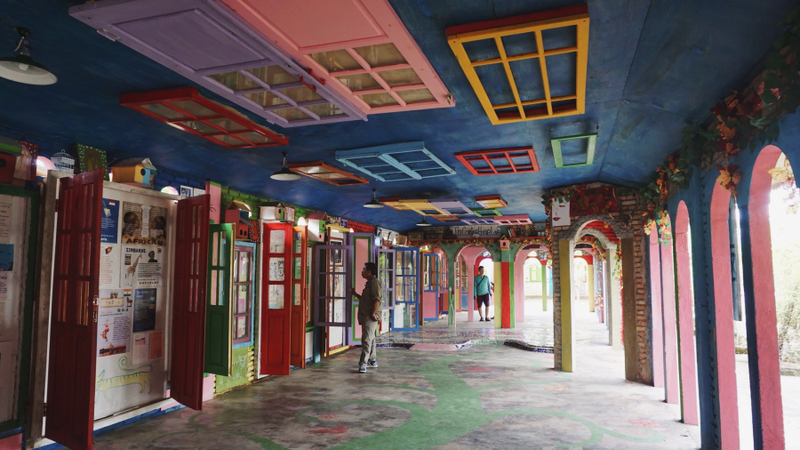 He has the dreams and he tries to reach those dreams with all his might. 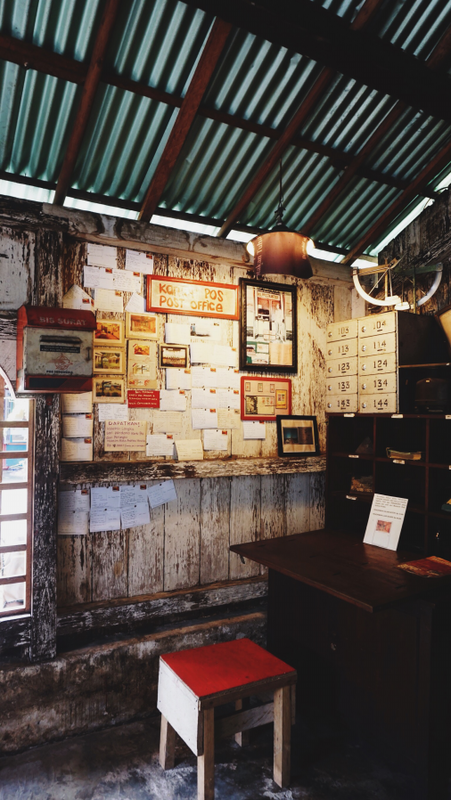 So, what is your dream and what do you do to reach that dream? 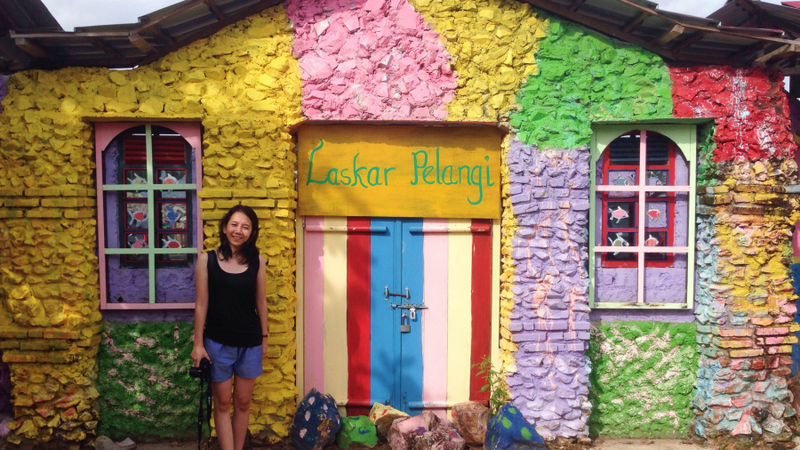 You can also read my complete journey in Belitung HERE.